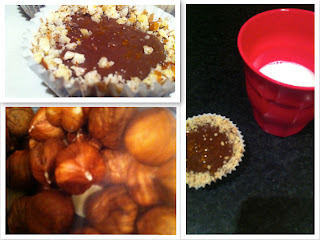 I stumbled upon a lovely food blog and found an amazing ferrero rocher recipe. How could I not make these? They looked amazing with the gold wrapping and hazel nut topping. I couldn't find any of the gold cases and being my impatient self could not wait to look around and find them. So a quick pop to ASDA after university and picked up a few key ingredients... Nutella. Bloody delicious chocolate spread as I couldn't find any hazelnut syrup. 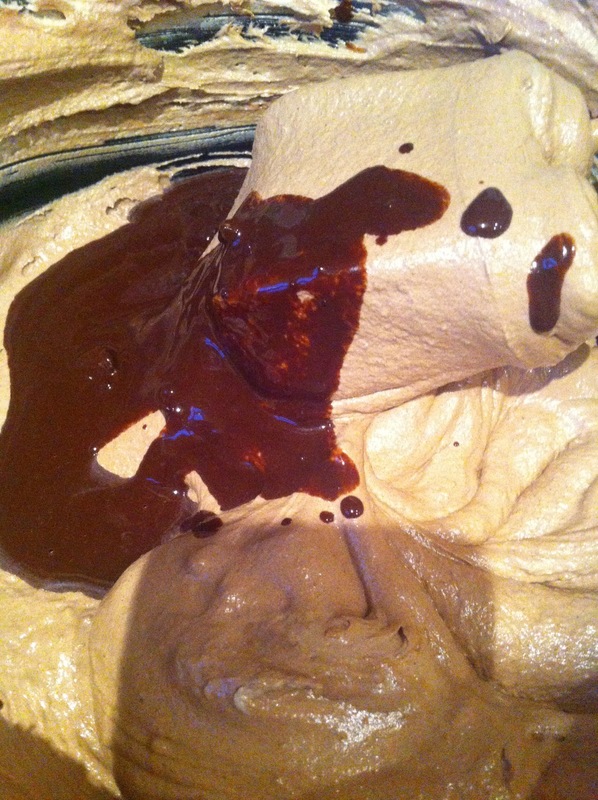 They are relatively easy to make, the only complicated part if you are new to baking is the ganache. 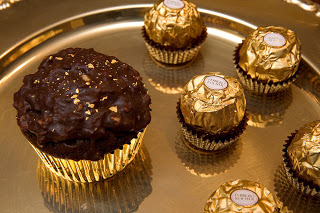 These are extremely indulgent but worth the calories, they are freaking delicious! My new favourite version of cookies and milk. Break the bakers chocolate into a bowl. Boil the cream and pour over the chocolate until melted and shiny. I hate to brag, but these are amazing. Tip - Practising new recipes in a cheap case saves a lot of money! Oh wow!!!! looks gorgeous and yummy, definitely going to try!!!! my fave candy... i so need to make these!